Christmas is my favorite time of year, as I have an excuse to pull out all the holiday movies we have acquired over the years, so that the girls can choose which ones I will be wrapping and using for our movie advent. In the past I would wait until Dec. 1st to start watching the holiday movies, but seeing that as each new year passes television networks are jumping the gun on holiday movies -- now many starting their holiday specials as early as Halloween night. While I will not start that early, I had added something new to the mix this year. In addition the twenty four DVDs from our growing including (including old and recent holiday releases), I will also be letting the girls choose 15 additional titles to watch during the month of November. We just put our tree up last night and this kicked off our holiday viewing. Even though the girls are older, they will still sit and watch Caillou as well as Yo Gabba Gabba. It is something about these shows, which were favorites of their when they were younger, that still hold a place in their hearts. 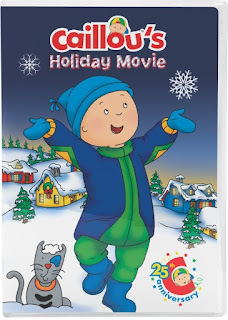 "CAILLOU is an award-winning television series about an inquisitive four year old whose world is filled with learning, fun and imagination and inspires generations of pre-school children to grow emotionally as they explore the world around them. 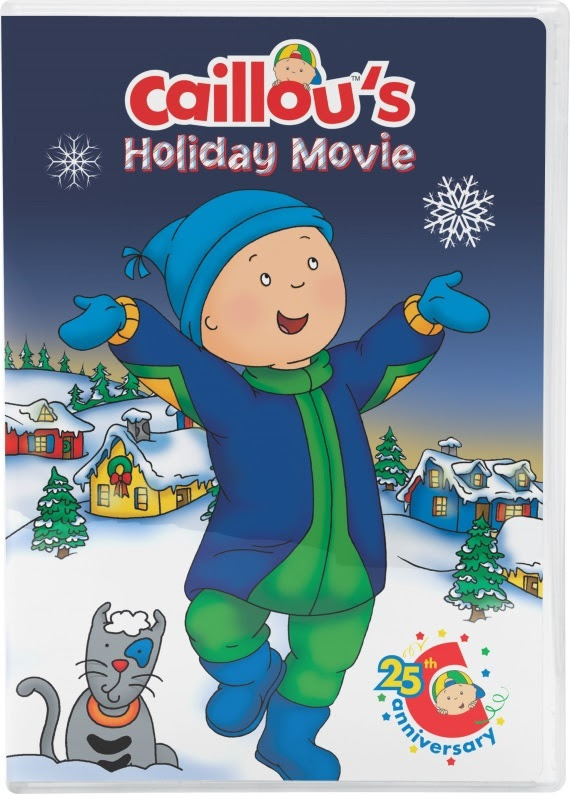 When winter comes to Caillou's house, this curious 4-year-old tackles all kinds of big boy activities like helping Daddy shovel snow, making holiday presents for his family and even discovering how other little boys and girls around the world celebrate the season! 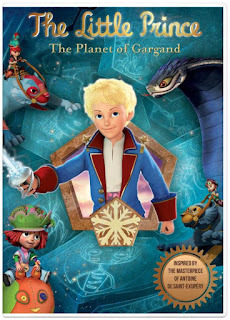 Filled with magical moments seen through a small child's eyes, this delightful story will enchant your entire family." 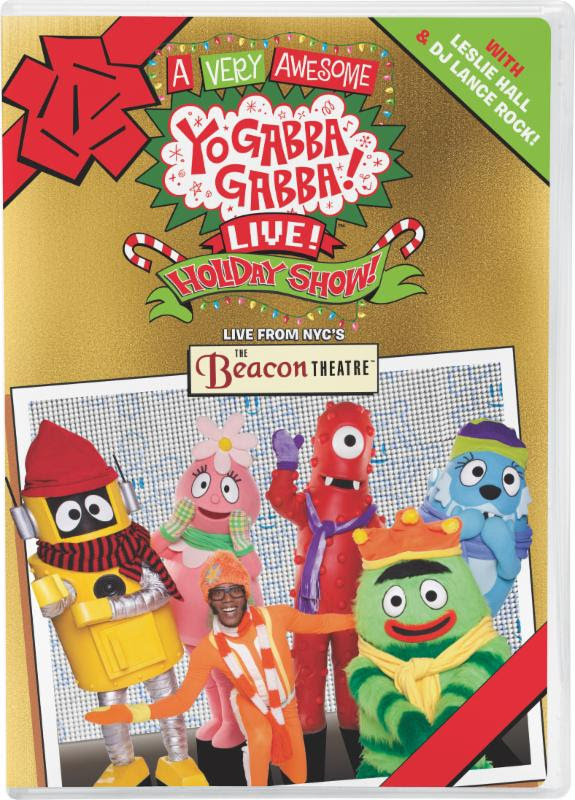 "There's only one thing more fun than Yo Gabba Gabba! Live! And the holidays - putting them together! Join DJ Lance Rock, Brobee, Foofa, Muno, Plex and Toodee as they dance, sing and decorate the tree to prepare for the arrival of Santa Claus! 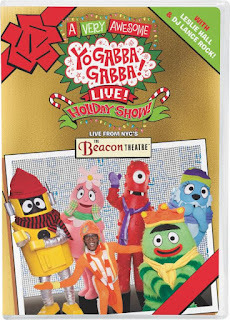 Filmed live at New York City's the Beacon Theatre, celebrate the season with the colorful cast of characters singing their hits, including 'It's Wintertime,' 'Every Snowflake's Different, Just Like You' and a holiday version of everyone's favorite 'Party in my Tummy!' Including special appearances by superstar Leslie Hall and the one and only Santa Claus! Snowflakes are falling and we can hardly wait!" "The Pod Squad want to build a Doozer-sized Gingerbread House! However, in order to achieve such a large size Gingerbread House it's going to take some clever construction to create. Can the Pod Squad do it? Then, Daisy Wheel wants to ice skate with the others, but she doesn't know how. Together, the Pod Squad build her a custom Doo-Step Skating Dress that let's her glide across the ice in no time. Weee! Enjoy these adventures and six more focusing on science, technology, engineering and math!" "Santa Claus announces his retirement on television and the public is shocked! But it's Santa's replacement Robotropolis who has everyone worried. It seems Robotropolis has his own ideas and instead of giving boys and girls gifts Robotropolis would rather receive them. 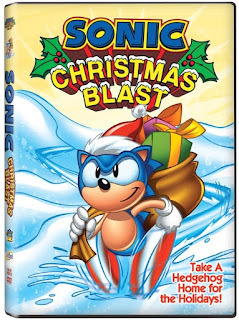 Join Sonic the Hedgehog in an adventure to rescue the spirit of Christmas and bring joy back to the world!" "The universe is in danger. The evil Snake extinguishes the stars as he passes through the galaxy, causing chaos and plunging the planets into darkness. The Little Prince must leave his Asteroid home and beloved friend, Rose, in his quest to outsmart the Snake and save the universe from doom. Accompanied by his trusted companion, the Fox, the Little Prince travels from planet to planet, braving danger and discovering vast and enchanted worlds. Will the extraordinary gifts of the Little Prince bring each of the planets back to life? And will he ever find his way home? On the planet Khagle, every 122 days, the Khagle hands wishaplants seeds out to children and inhabitants. The whishaplants grow into trees which then give presents to children. On planet Khagle, wishaplants also ensure the village's survival because the plants' roots secure the houses to the ground. Without it, the houses would fly off! Furthermore, Thery and Dokan, two inhabitants of planet Khagle, have to fight each other in order to became the new Khagle. The Little Prince and Fox must help the Planet Khagle when we find out that Lyl the alchemist, who grows the seeds into wishaplants has disappeared 48 hours before the Khagle's distribution. Will the Little Prince be able to find Lyl the alchemist in time before Khagle's giving of the wishaplants?" 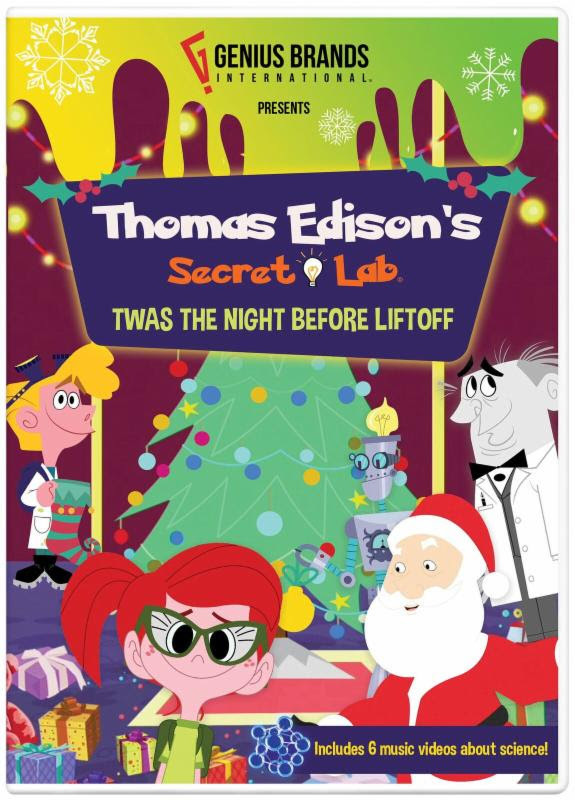 "Unknown to the world, Thomas Edison built a secret lab where he invented a virtual version of himself and a steampunk robot named Von Bolt. Years later, Angie, a twelve-year-old science prodigy, discovers the lab. When an old friend of Edison's visits the lab and asks the Secret Lab Kids to help him with an urgent, top-secret project, they have to follow him through a wormhole to get to his own secret lab. Who could this mysterious friend be and what is this top secret project during the holiday season?" 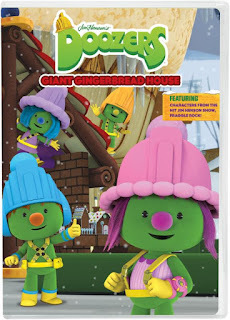 Not only were these DVD's enjoyable to watch and a perfect way to welcome in the holidays, but as a parent, I am loving the $6.99 per DVD price tag. 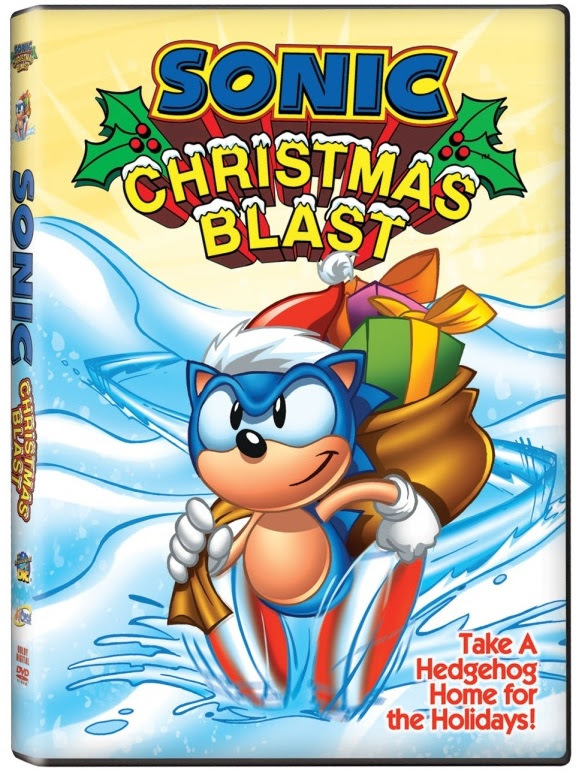 You can't go wrong with this price for the amazing content you get on each of these holiday-themed DVD's. I have always loved NCircle Entertainment, as they offer a great selection of educational DVDs that kids of all ages will enjoy watching time and again. Just like my girls asking to watch Caillou again last night, this is just another reminder at how great the content offered by NCircle Entertainment really is. If you have little ones and are looking to start a holiday movie advent like we do, or simply want to add more titles to your family's growing holiday collection, why not consider picking up any or all of the above mentioned titles from NCircle Entertainment? For the price, you can't go wrong! These DVD's would also make great stocking stuffers or bundled up and given to your child's teacher for use in the classroom, or even donated to the local library or a nearby battered women's shelter for the children to enjoy. Thanks to the kind folks at NCircle Entertainment, one lucky Inspired by Savannah reader will win the 6 DVD's I mentioned above, to enjoy with your family this holiday season, and for years to come. Labels: dvd giveaway , DVD review , dvd_gifts_2017 , holiday DVD's , holiday movies for kids , NCircle Entertainment , Sonic Christmas Blast , The Little Prince , Yo Gabba Gabba! I want to win this one for the kids in the family. We like to watch Elf. We love the live action grinch and elf. They are our favorites and we watch them year round! My family loves How the Grinch Stole Christmas. My family loves to watch Rudolph the Red noise reindeer. How the Grinch Stole Christmas! Love it!